The poor horse attempts to maintain its balance after the portly fellow climbs onto its back, but the task proves to be insurmountable due to the rider's overly ample girth. 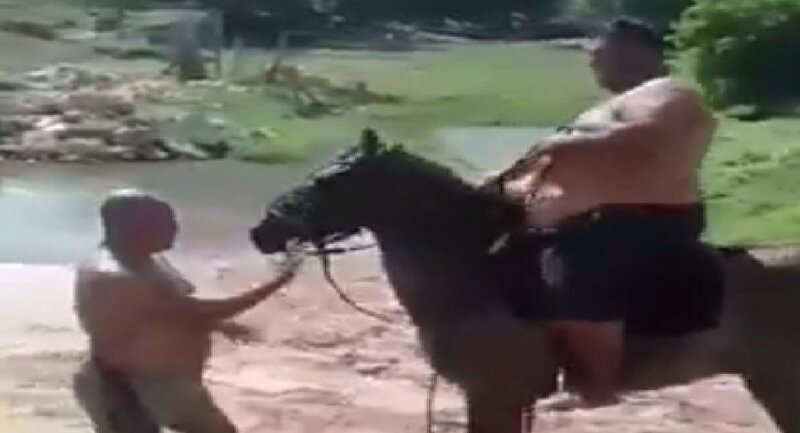 Finally, the horse tries to free itself from the passenger and falls. Another man, who was standing nearby, trying to help the rider, laughs. Ohh Wait, 'Get the Duck out of My Horse' Messages - Thing of Past?